A packed issue of projects and techniques as usual. Our cover image features Louisa Goult’s wonderful curved EPP Flower Burst Cushions. The Dream quilt is foundation pieced while the Shadow Hexie Quilt adds a new twist to creating 3D effects in a quilt. If you remember the Easter Bunting featured in the April issue (issue 291), designer, Ruth Lazarus brings us some fun Halloween Bunting. We dip another toe into Christmas preparations with the Jolly Santa quilt, a novel way of making an Advent calendar. We make another unit in Stuart Hillard’s Mystery Quilt and feature a great autumnal block in Stashbusting. Helen gives us a tour of the winning quilts at the Festival of Quilts in her review of the show. The show really is THE show to be at with so much for visitors to see and do, not only from the UK and Europe but also from across the world including the USA and Australia and New Zealand. 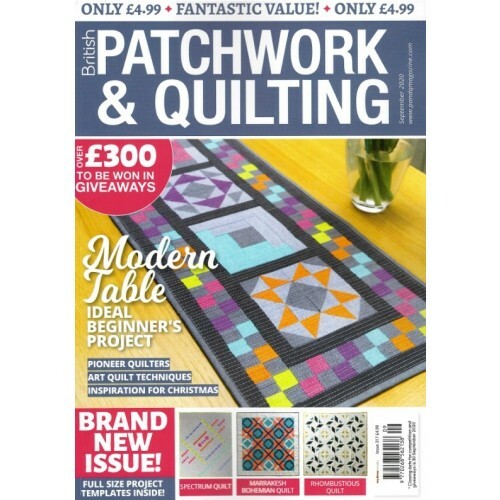 If you were at the show you might have seen the ‘Fire’ and ‘Ice’ Sew a Row Quilts from UKQU that Helen had a hand in and she tells us more about her row in the quilt. 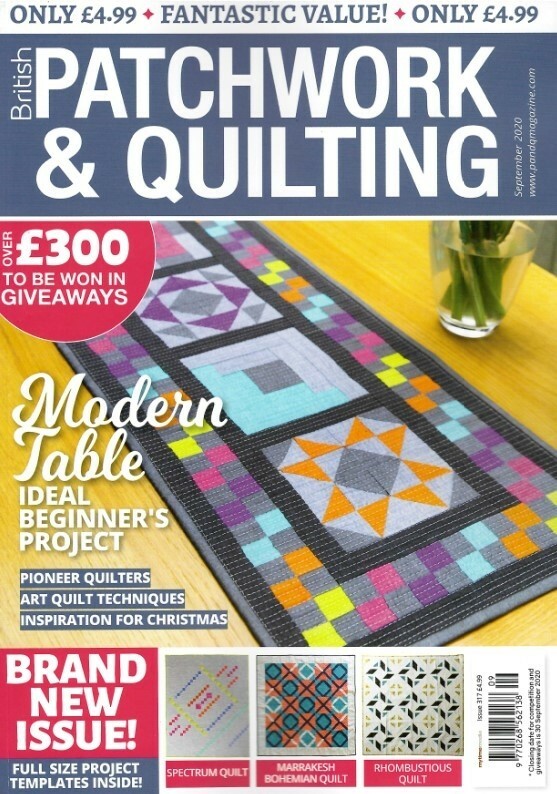 Travelling back in time we hear the story about Joe the Quilter and then zoom right back to the here and now as Kerry Foster asks whether Social Media has a positive or negative influence on quilters. Lyn Butler tells us about her First and Last quilts and we meet quilt group Vectis Quilters in Introducing.